Improving a Team’s Collective Intelligence. Feedback Please! It seems all over nowadays. Teams do it, peers do it, managers do it. Feedback here, feedback there, feedback everywhere. Feedback seems here to stay. Why? Because it makes people stronger. They learn how they behave and how their behaviour affects others. This transparency enables individuals to change and start experimenting with more effective behaviour. 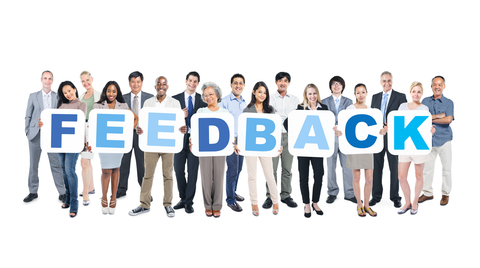 Wouldn’t it be great if we could apply a feedback instrument to the whole team? Improving team feedback! Do you have a scrum team consisting of individual players? Does your team know why it exists in the first place? Do the team members know eachother’s personal preferences for doing the things they do? Are they aware of what they find important as a team? A Team Poster crafted by the team itself will improve collaboration and contributes to a performance increase. Agile is all about running experiments and see what works for you. Inspect and adapt. Grow. This also applies to scaling your agile organization. There is no out of the box scaling framework that will fit your organization perfectly and instantly. Experiment, and combine what you need from as many agile models and frameworks as you can to do “Common Sense Scaling”.